Theodore A. Henderson, MD, PhD, specializes in the diagnosis of complex psychiatric cases and providing targeted treatments with high success rates. A noted researcher, Dr. Henderson’s work has resulted in scientific and medical breakthroughs, as he is discovering answers to many “mysterious” conditions troubling children, adolescents and adults. 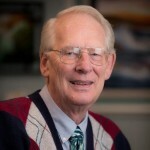 As co-Founder of Neuro-Laser Foundation, Dr. Henderson brings a unique blend of expertise in psychopharmacology, neurobiology, and an understanding of human biology to the practice of psychiatry. Since 1991, Dr. Henderson’s breadth of work spans psychiatry, medicine, and nuclear medicine with more than 25 published articles, 35 invited presentations, more than 10 clinical studies and he has authored contributions to four books. Dr. Henderson also serves as a guest editor for several respected journals, including PLOS One, Journal of the American Medical Association, Journal of Nuclear Medicine and the Journal of Neuropsychiatry and Clinical Neurosciences. Dr. Henderson studied psychiatry at the prestigious Barnes-Jewish Hospitals at Washington University in St. Louis, and he completed a fellowship in child and adolescent Psychiatry at the University of Colorado. This included additional specialization in programs specifically for children and adults with autism, mental retardation, and other developmental disabilities. He earned his PhD in Developmental Neurobiology from Saint Louis University. Dr. Henderson attended medical school at Saint Louis University School of Medicine, where he studied heart pathology and then branched into Neurobiology. His graduate work focused on how the brain develops its complex organization. In 1997, he was awarded the National Institute of Mental Health Outstanding Resident Award for his ongoing efforts in child abuse prevention and neurobiological research. In 2000, Dr. Henderson opened a private practice in Centennial, Colorado. He is also licensed to practice in Florida, Missouri, Washington, New York, and California. He can be reached at 720-493-1101.